Warcraft Mounts: A field guide to mounts in the World of Warcraft. Patch 8.1.5 introduces at least eight new mounts, with sources including Warlords of Draenor Timewalking, the new Zandalari and Kul Tiran allied races, the completion of the Tides of Vengeance storyline, and a Brawler's Guild murder mystery! See our patch guide for the details. Hogrus, Swine of Good Fortune is now available in the Blizzard Shop outside of the China region. In China this mount is part of a subscription promotional event; we're not sure how long this promotion runs for. The Battle of Dazar'alor raid has now opened for Normal difficulty and above (the raid finder version doesn't open this week). The raid introduces three new mounts - two drops and one achievement reward. The chilly Glacial Tidestorm elemental drops from Jaina Proudmoore on Mythic difficulty only, and the G.M.O.D. golden mecha-suit drops from High Tinker Mekkatorque (likely on all difficulties). The raid meta-achievement reward is the Dazar'alor Windreaver, an armoured teal pterrordax. 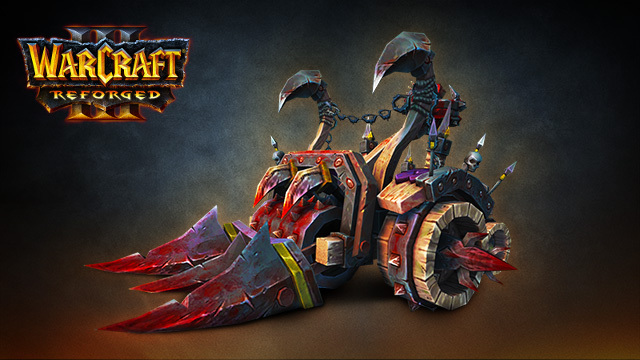 Pre-purchase the special Spoils of War Edition of the upcoming remastered title, Warcraft III:Reforged and receive an exclusive mount in World of Warcraft: the Meat Wagon. Warcraft III:Reforged Spoils of War Edition is currently available for pre-purchase in the Blizzard Shop (US / EU), but the Meat Wagon reward isn't yet available in WoW.